3i Sprayed-on Acrylic Intumescent Coating; for protection of electrical, computer, or signal cables, or other substrates. 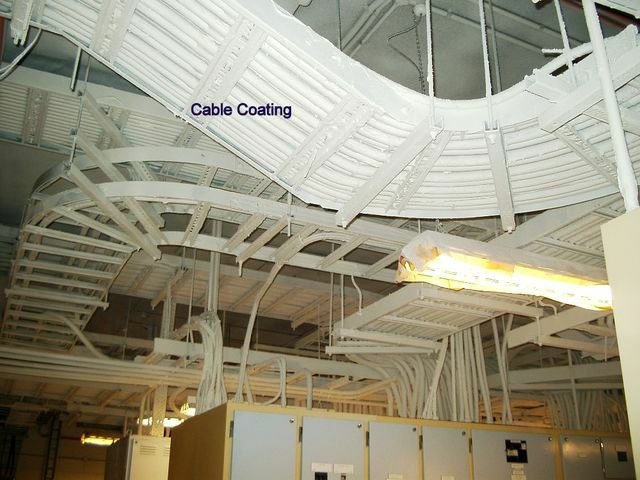 Cable Coating 3i is a heavy-bodied, waterbased intumescent coating which is designed to prevent flame spread along the jacketing of electrical (or other) cables and to provide a thermal barrier for protection against heat damage. CC3i will also prevent a short circuit within an electrical cable from starting a fire and will help identify the location of such a short circuit by forming an intumescent char at the spot. CC3i can be applied to grouped cables or single cables. 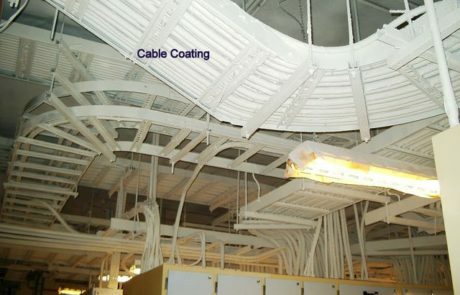 Cable Coating 3i is a unique acrylic latex emulsion which has excellent resistance to weathering and aging and which remains flexible indefinitely allowing for cable movement and removal. It is highly UV resistant and suitable for outdoor as well as indoor applications. 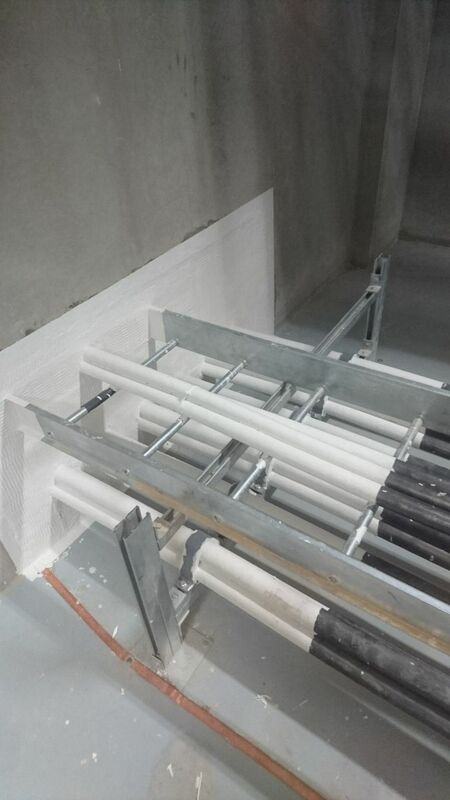 Cable Coating 3i is approved by Factory Mutual at our recommended dried film thickness of 1/16th inch and it does not require cable derating (see complete Factory Mutual Test Report). It passes IEC 60331-11 tests at 750°C and 1100°C. 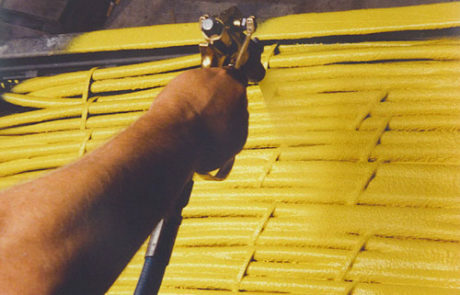 Cable Coating 3i forms a protective intumescent char when exposed to flame or to a temperature above 350°F. This char should be removed completely and clean cables should be recoated if intumescence should occur. 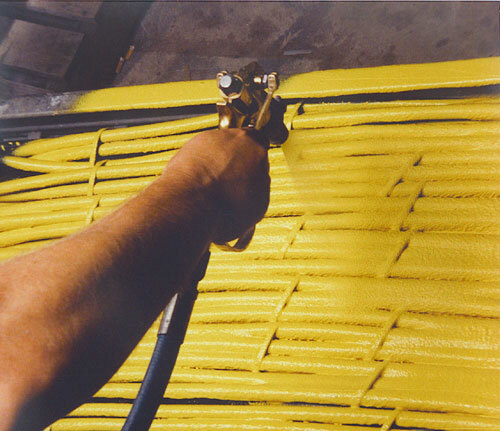 Cable Coating 3i is easily applied by brush or spray and it adheres well to cables, allowing for vertical or overhead application. Care should be taken to see that cables are clean and dry before application, particularly that they are free of oil, grease and grit. Cable Coating 3i should be applied in 2 coats to ensure complete coverage. NOTE: CC3i MUST BE PROTECTED FROM FREEZING DURING STORAGE. During application, it must be protected from freezing, moisture, oil, grease, and foot traffic until it is thoroughly cured. ASTM G155/D2565. Equivalent to 5 years of desert conditions: slight yellowing in color but no cracking, loss of flexibility or damage to the coating. Results considered excellent. 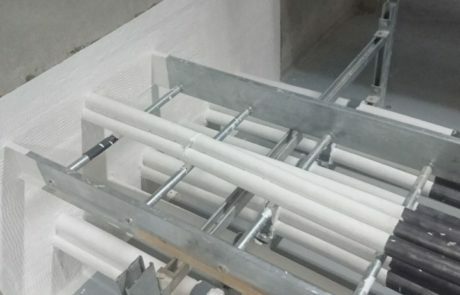 Note: Because of the irregular surfaces, a nominal square foot of cable tray, when loaded with cables, will present more than a square foot of surface area to be coated. Will not support combustion in wet or dry state. The addition of water or any thinning agent to this product will change its physical properties and will adversely affect its performance. No expressed or implied warranty will be offered on applications where this product has been thinned or altered in any manner.